NIA report raises concerns at ease of 'infiltration', says Pakistan changing focus to the international border from Line of Control. 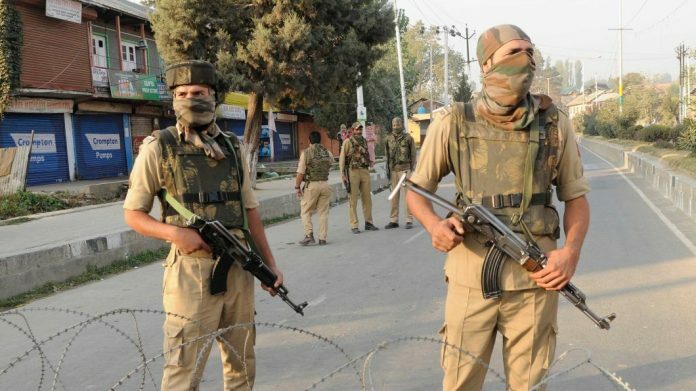 New Delhi: In a setback to security forces, at least 33 alleged Pakistani terrorists have managed to sneak into India from the Punjab and Samba-Kathua sectors since October 2017, the National Investigation Agency (NIA) has found. There are also concerns that the terrorists may have brought additional weapons to be used in Jammu and Kashmir by other members of their terror groups. The NIA report suggests that the terrorists may have infiltrated through the same sector that the attackers, who carried out the Pathankot Air Base attack on 2 January 2016, and the Nagrota Army camp attack on 29 November 2016, had used. While security agencies claim to have beefed up security, the NIA report, sent to various agencies in December, is a damning indictment of the ease with which terrorists are managing to get in. The BSF, under whom these sectors fall, did not offer any official comment. Sources in the force, however, said that the report was based “purely on interrogation” and does not elaborate on the exact sequence of events. According to the NIA report, the standard operating procedure is to sneak in a group of five terrorists at a time, security sources said. They added that over ground workers of terrorists help them with travel, stay and other logistics once they cross over. Trucks are seen as a common transport mode. According to the information detailed by the NIA, following the interrogation of two modules of arrested alleged overground workers, it was found that five terrorists had crossed over on the night 23-24 October 2017. On the intervening night of 30-31 December 2017, a group of another five terrorists were allegedly received by the workers. This was followed by another group on the intervening night of 14-15 January 2018, 13-14 March, 13-14 April, 13-14 May and a group of three terrorists in the intervening night of 11-12 September 2018. Multiple intelligence inputs have revealed that over the past several months, Pakistan is changing its focus to the international border for infiltration, the NIA report says. Over the years, the Army has beefed up the anti-infiltration security grid at the Line of Control but still gets challenged. The NIA report also details new launch pads that have allegedly been set up by Pakistan opposite the Jammu region. These launch pads have been set up opposite Kathua and Baniyal, Hiranagar, Samba and R.S. Pura sectors, sources said. The NIA has given a set of recommendations to the security agencies for improving the situation including by deployment of high-tech equipment.